Rappelling down a 60-foot tree may not be an idea of a good day for many but the thought of upside-down suspensions, heights and speed gives me excitement. I don't claim to be a daredevil but sometimes we have to go out of our comfort zones. 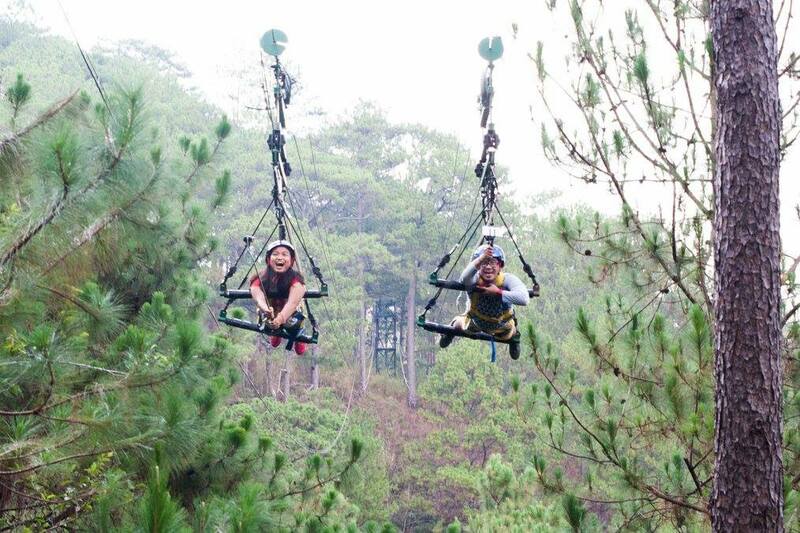 Part of my recent Baguio trip is a visit to Tree Top Adventure. Well, I'm not really big of an adrenaline junkie but I like trying new activities once in a while. Everyone teased me of doing the tree drop. It seems it is the most extreme adventure this place offers and I was very game to try it. 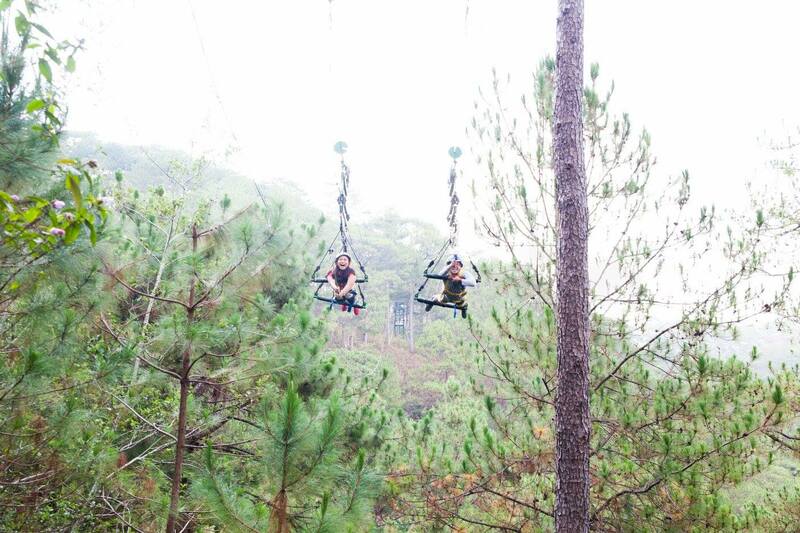 Doing the tree top is like taking the road less traveled. It could be my natural desire for endorphins or I'm just trying to prove myself that this is something I can do. Scary as it may seem, it was actually fun! 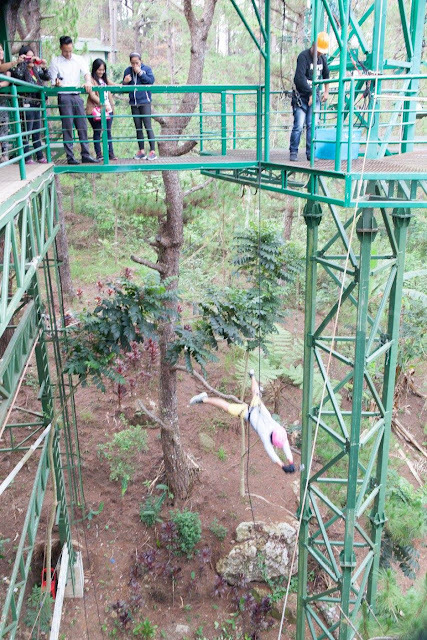 I also tried the Canopy ride. Suspended over 100 feet, the view from above was fantastic! I also loved the Silver Surfer. I must say I got a little scared on this compared to the Tree Drop. 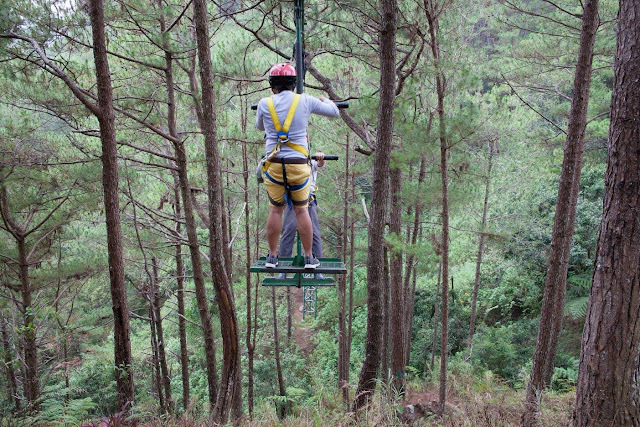 Gliding from one tree top to another, the challenge is to rest via the harness, hands- free. I thought this will be easy-peasy but as we surfed into the wind and reach to the other end, it felt scary! Hahaha. True enough, it is ironic how you feel most alive when your heart skips a few beats. We also tried the Funicular Ride. 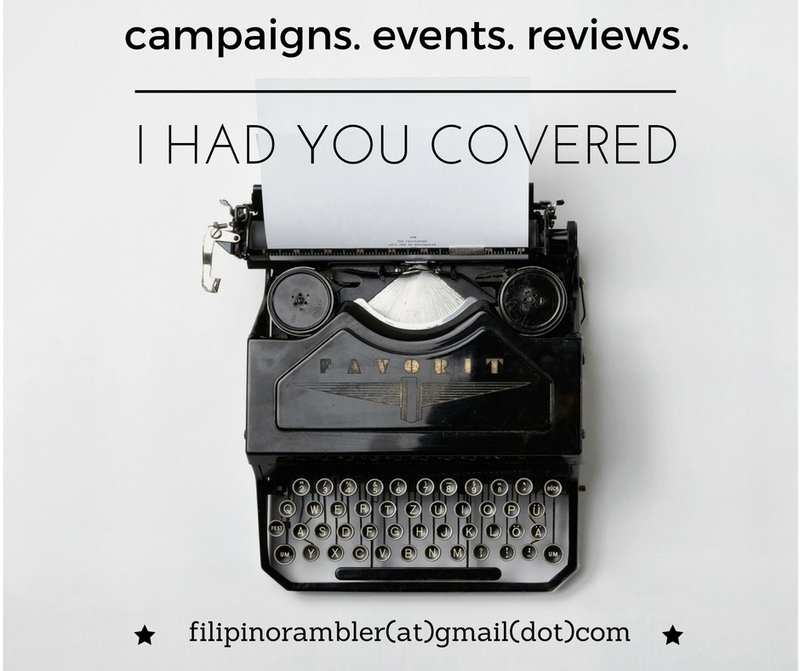 I thought it was boring and maybe it is something kids will appreciate more. 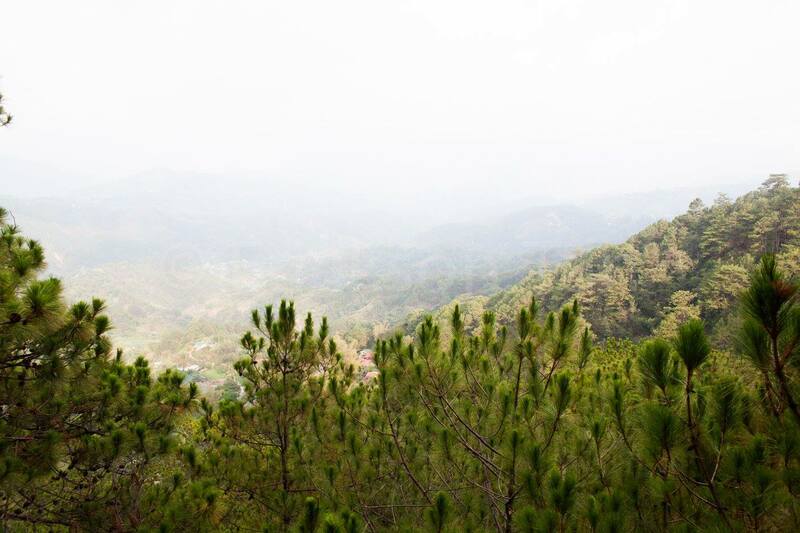 There's also a Skywalk- a nice view deck to see Old Baguio. 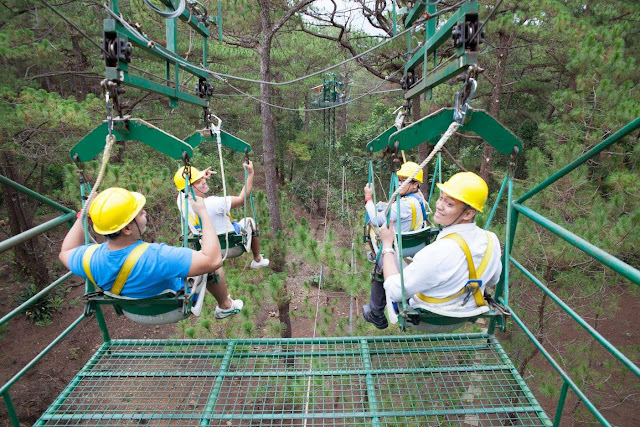 Lastly, we had the Superman Ride- a zip line adventure over 150 feet high in a superhero flight. I had a great time at Tree Top Adventure. More than thrill and heart pumping action, it provided me a kind of exhilaration that made me feel more connected to nature. Experiencing the extreme actually pushed me to the limits- makes me want to come back for more. 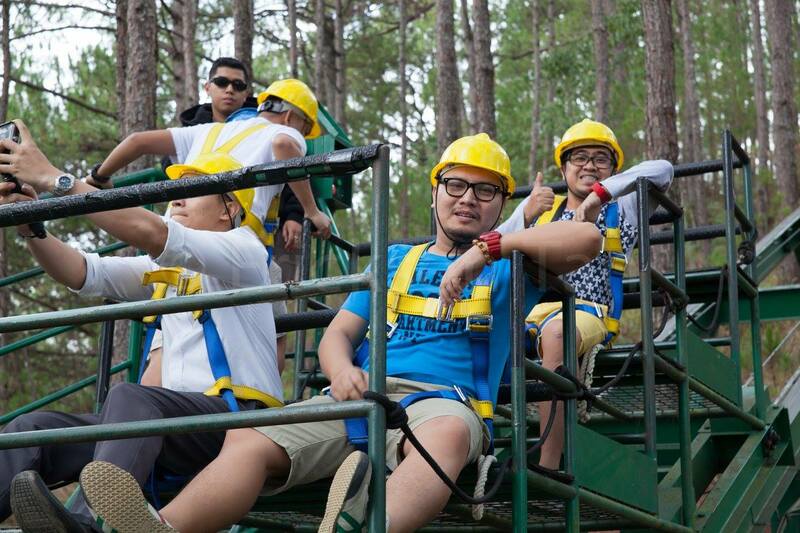 The whole experience is about facing my fears and having fun at the same time. 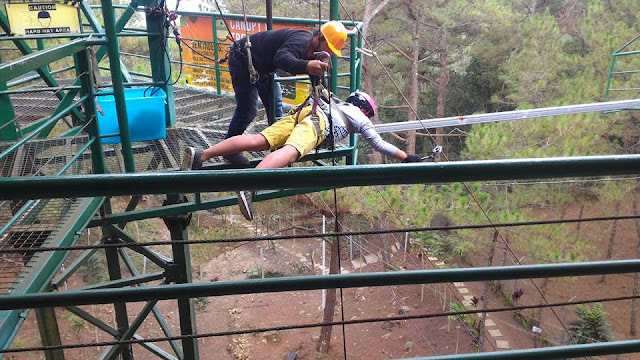 Conquering my fears actually gave me a sense of accomplishment. I can summarize my whole Tree Top experience in 3 words- Fear, Excitement, Adventure. So when in Baguio, make sure you drop by Tree Top Adventure and experience the extreme! 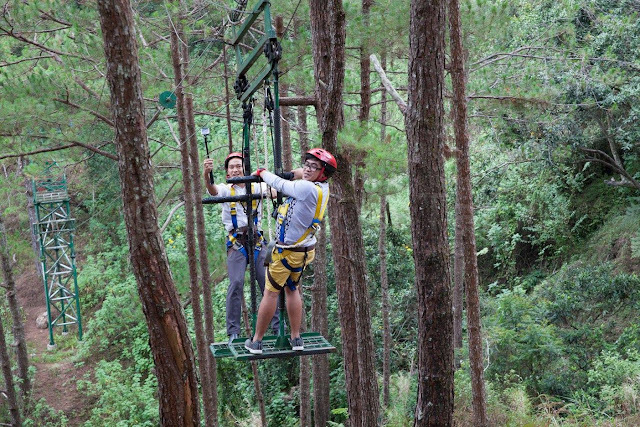 For more info, check Tree Top Adventure Website.